We are approved to install alarm systems by Lancashire, Cheshire, Merseyside and Greater Manchester Police Forces. 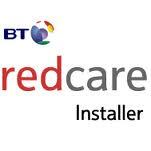 Excel are approved to install BT Redcare, GSM and CSL Dualcom Dualpath Signalling systems. We have UKAS Product Certification and are regulated by the Security Systems & Alarms Inspection Board (SSAIB).